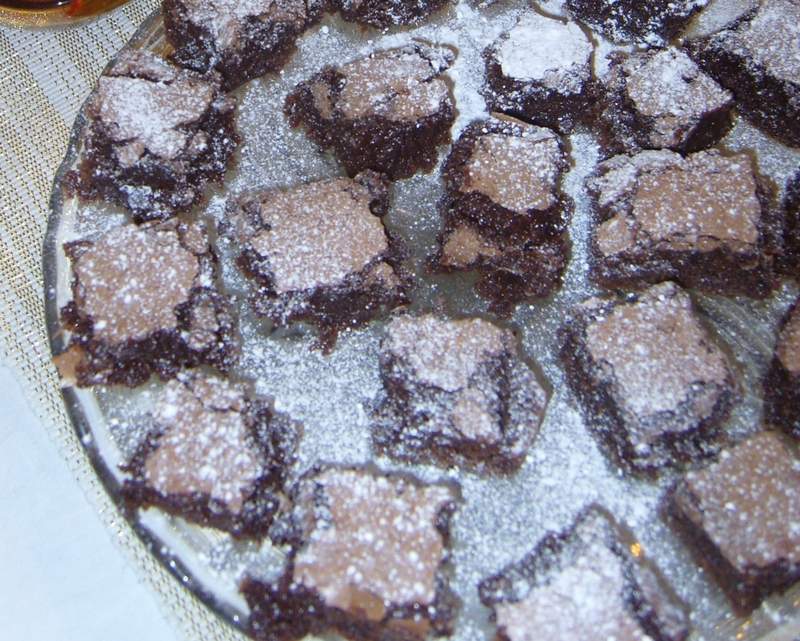 The best chocolate brownie recipe in the world? I often make these for the Cafe & take-away as well as friends & family and they are honestly well worth making. Rich & gooey but not too sweet, this is a very simple recipe requiring no special skills just top quality ingredients. Melt 300g cooking margarine in the microwave for approx 2mins, then pour in 300g chopped up dark chocolate (I use 80% cocoa dark chocolate pistoles) and mix until it resembles Willy Wonka’s chocolate river. Whisk 5 (free-range) eggs into 450g granulated sugar then whisk in the chocolate mix. Whisk in 200g sieved plain four. after the flour has gone in you can add 200g of nuts/dried cherries or whatever else you fancy? Perhaps small sliced slithers of orange zest or ground cardamom? Tip: to ensure even distribution when adding your bits: pour half the mixture in th tin, then sprinkle on your nuts/fruit etc before covering with the remaining mix. There’s nothing worse than wanting a nutty brownie and only finding one in your slice! My father-in-law taught me this when buying nut chocolate: always feel the underneath of the bar before you buy it!